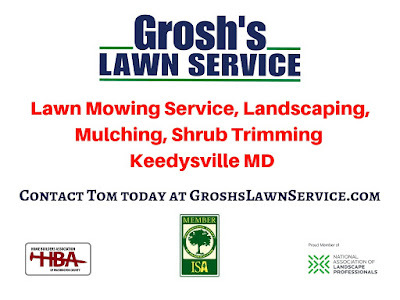 Now is the time to contact Tom at GroshsLawnService.com to schedule your weekly lawn mowing here in Sharpsburg MD. 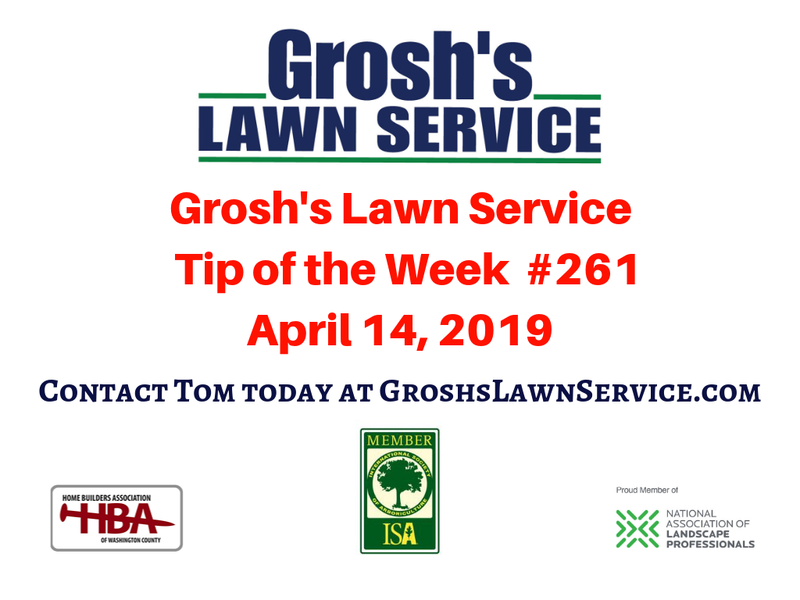 Grosh’s Lawn Service only offers weekly lawn mowing service in the Sharpsburg MD area due to the appearance of the lawn after cutting the grass after two weeks’ worth of growth. It is very difficult for us to manage the growth with bi-weekly lawn mowing. 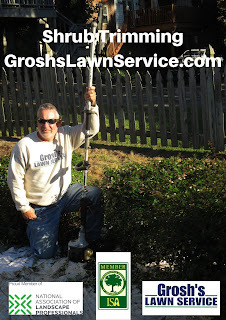 So contact GroshsLawnService.com now and then grab a book and some lemonade, schedule some extra time with your family, or do whatever you love to do, and let us do the work for you. Landscaping Contractor and Lawn Mowing Service offers Landscaping Mulching for your home, church grounds and commercial property here in the Big Pool MD area. Bed edging is also popular with our mulching to enhance the curb appeal of your home and landscaping beds. 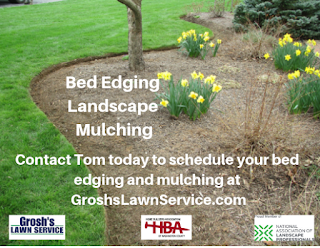 Leave the back breaking work of bed edging and mulching to the team at Grosh's Lawn Service. Name: Jim & Barb H.
Would you be interested in any of the following services we provide? We are so pleased with all the work provided so far, and this being our first year with Grosh's will most likely be the beginning of many more! Local Lawn Mowing Service and Landscaping Contractor Offers Brush Cutting and Brush Removal in the Clear Spring MD area. Nature is back in action and that means that wild trees, brush, poison ivy and weeds are starting to grow or regenerate new growth in area that are not easily accessible here in the Clear Spring MD area. 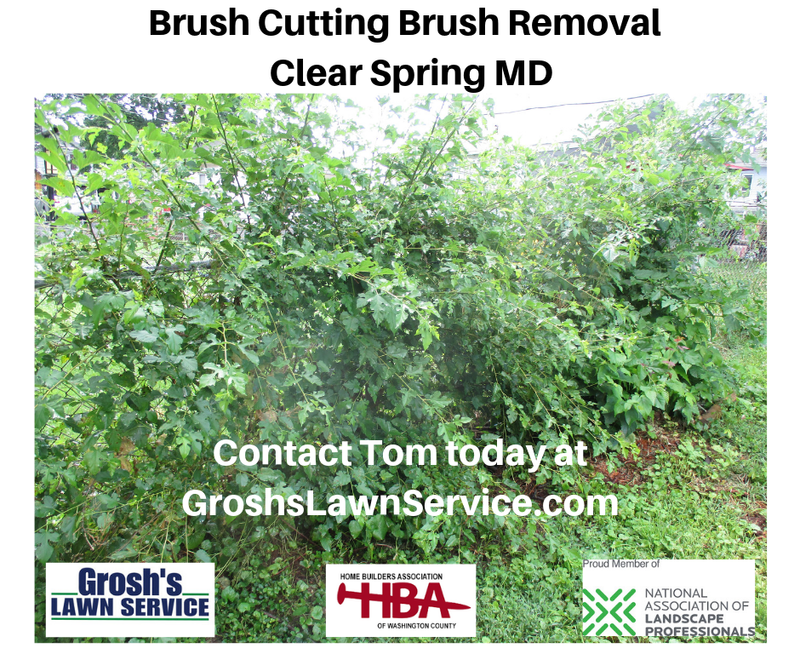 There is no better time than now to contact Tom at GroshsLawnService.com to schedule your brush cutting and brush removal services here in the Clear Spring MD area and Washington County Maryland. Grosh's Lawn Service offers weekly lawn mowing service so that you can have more free time to enjoying life and not hassle with finding time to mow the lawn each week. How much more money, time freedom, love, health, and joy will you have when you benefited from our offer of taking the lawn mowing over? 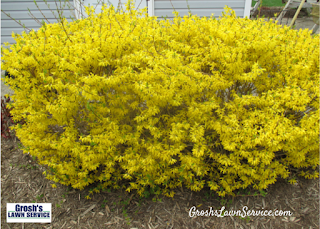 Landscaping, shrub trimming and mulching services to enhance the curb appeal of your home, office and commercial property here in Keedysville MD. Contact Tom the Landscaper today at GroshsLawnService.com to get started with your weekly lawn mowing and landscaping services here in Keedysville MD and Washington County Maryland. Fall is the best time of year to complete a lawn renovation or repair, all lawns over there lifespan need to have grass seed added to help thicken up the thin areas where the grass has died out, fall is also a good time to repair areas from grub damage, drought or construction repairs, due to Washington County having lower temperatures & above average moisture during this time of year. This allows mother nature to water your lawn, so you won't have to. Contact Tom today at GroshsLawnService.com today for a free consultation and estimate to have a lush, luxurious, healthy lawn and to enhance the appearance and the curb appeal of your home. 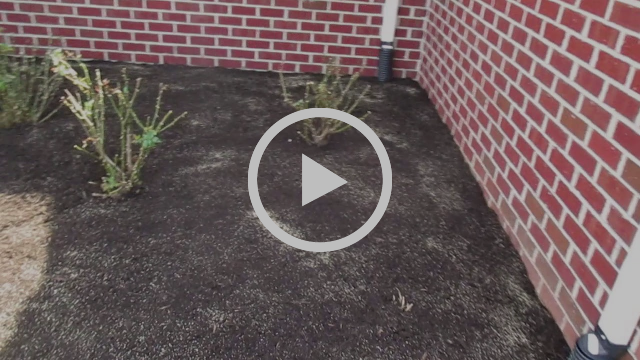 Take time to watch our Lawn Renovation and Hydroseeding Video below. 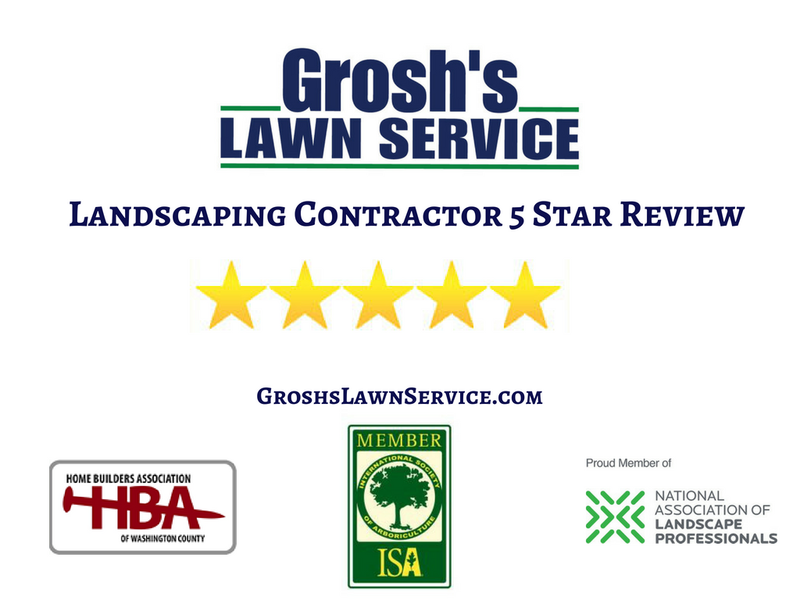 Grosh's Lawn Service offers weed control services for your home, outdoor living space, commercial property, church grounds, etc. Contact Tom today at GroshsLawnService.com to start this monthly service. Does your landscaping need a landscape renovation here in the Big Pool MD area this year? Are you tired of the overgrown junipers and the ugly yew shrubs at your home, office and commercial property? 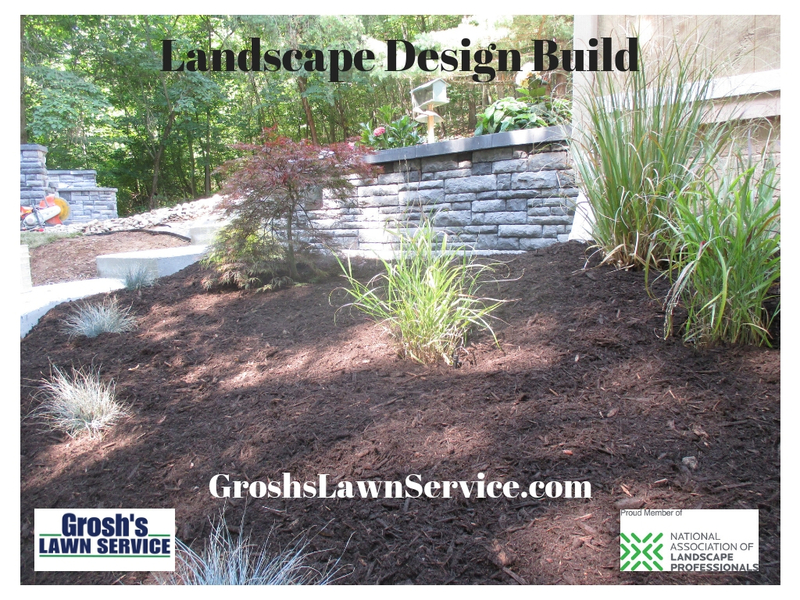 Looking for a landscape contractor who listens to your dreams and your thoughts? We will help you select the "Right plant for the right place". 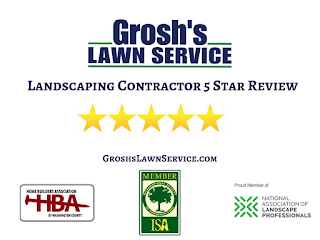 Contact Tom the Landscaper today at GroshsLawnService.com to schedule your landscaping consultation here in the Big Pool MD area and Washington County Maryland. 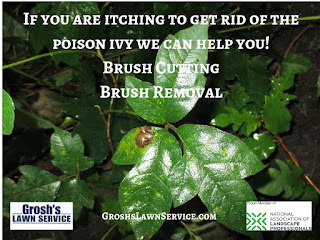 Now is the time to schedule your brush cutting and brush removal services here in the Big Pool MD. Are you tired of the way your property looks? 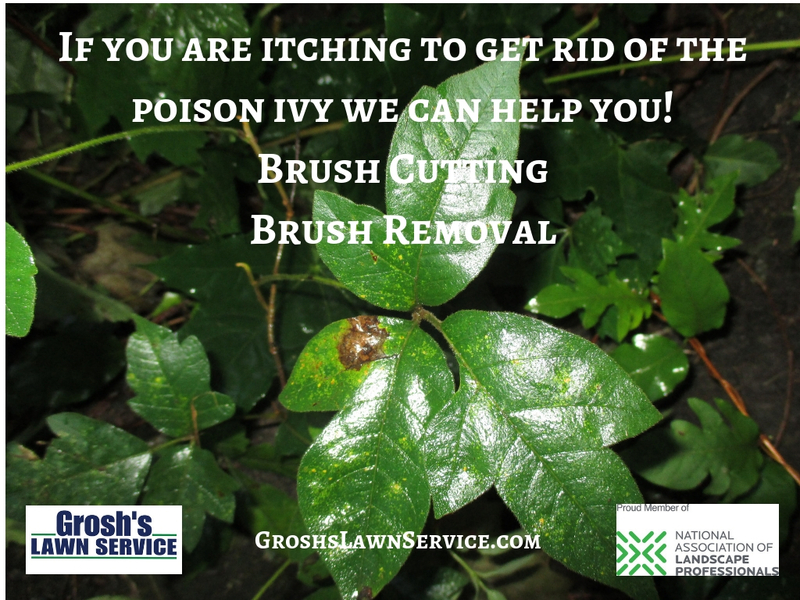 Now is the best time to get rid of the wild trees and poison ivy from your home, office and commercial property here in Big Pool MD. 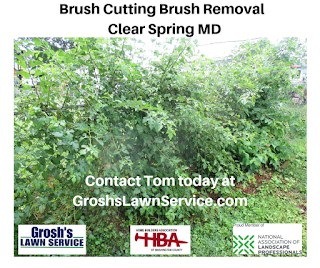 Contact Tom the Landscaper today at GroshsLawnService.com to schedule your brush cutting and brush removal consultation here in Big Pool MD and Washington County Maryland.